The Winter Olympic Games may have finished, but we still have the Winter Paralympic Games to look forward to. In both games, athletes often rely heavily on the equipment and technology that they need to compete in their event. So, while we have seen some fantastic examples of excellence in athleticism so far this year, we have been thinking about the examples of excellence in engineering that have been going on behind the scenes. Here are some of what we think are the most innovative pieces of technology that have been harnessed for the Winter Olympics and Paralympics. The Para-Biathlon is an event in the Winter Paralympic Games which sees athletes compete in cross-country skiing and rifle shooting. The categories are divided into standing, sitting and visually impaired. Those athletes with a visual impairment then need assistance during the event, but particularly during the rifle shooting part of the event. The rifles used in the event are not capable of shooting bullets, but are electronic rifles that use cameras and LED lights to ‘shoot’. The rifle is connected to a pair of headphones which emit a high-pitched sound the closer the athlete gets to aiming the rifle at the centre of the target. This use of sound enables visually impaired athletes to compete in an event that would otherwise be impossible for them to participate in. 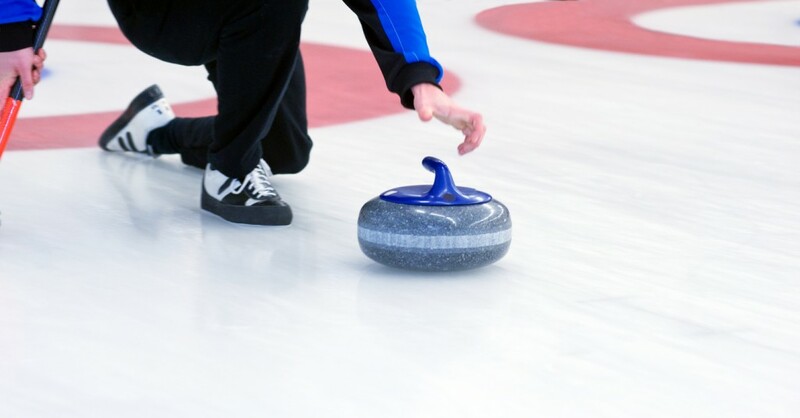 Curling may date back as far as the 16th century, but it has only been an official Winter Olympic sport since the 1998 Winter Olympic where the Swiss men’s team and Canadian women’s team took home the gold medals. The sport involves shooting a stone down a sheet of ice where a bullseye-like mark, known as the ‘house’ waits at the end. The aim of the game is to get the stone as close to the centre of the house as possible. Two teammates follow the stone down the ice, using brooms to swipe the ice to manipulate the speed and trajectory of the stone. These brooms started out as regular corn brooms that could be found in most households, but they have developed over time. However, two engineers and their friend sought to change the curling broom a little more dramatically. This broom, known as the SmartBroom uses four sensors in the broom head to measure the force and stroke rate, giving a figure known as a sweeping performance index. The idea is that this will help athletes to hone their skills with real data, rather than working on a ‘trial and error’ basis. The broom has proved to be particularly popular with the athletes and have been used in the Winter Olympic Games of this year and 2014. Many Paralympians are amputees, so rely on prosthetic limbs to assist them, not only during their sporting events, but also in their daily lives. However, the prosthetics used in the Winter Paralympic Games are often very different to the ones they may use in everyday life. One athlete began making prosthetics himself after an accident that resulted in one of his legs being amputated. Mike Schultz was once an athlete who raced snowmobiles professionally until an accident in 2008. After his amputation, he set to creating a prosthetic that would better suit the needs of athletes looking to compete in winter sports. When testing his new leg out on a snowboard, he discovered a love for the sport and will now be competing for the USA in this year’s Winter Paralympic Games. Prosthetic limbs require a great deal of engineering to create something that can function as a joint while supporting an individual and giving them a fluid range of motion. The advancement in prosthetics engineering has allowed many people to compete in the Paralympic Games and Winter Paralympic Games, allowing us to see excellence in athleticism through excellence in engineering. At European Springs, we see the great engineering that goes into these fantastic events. As spring manufacturers, we are able to work on plenty of exciting projects, such as our recent work with the National Theatre, so we are always excited to see how engineering can make so many things possible. You can find out more about our work by visiting our blog, and if you would like to find out more about us, please don’t hesitate to get in touch.